This episode of the Collegiate Collective Podcast marks the first edition of #AskCollective. We solicited questions from you, the Collective listeners, and invited three of the best college ministry thinkers and practitioners to answer them. Question #1: With the rising costs of college, and particularly on-campus student housing, how can leaders in good conscience ask students to stay in dorms? “Living in is not the same as living with.” Train your off-campus student leaders to still do life and ministry effectively and in community with those in dorms. Part of the job of college ministry leaders is to teach good stewardship and wisdom in financial decisions throughout college, not just to graduating seniors. Question #2: Are there categories for different types of colleges, and different outreach methods that are effective for reaching them? Yes! Every campus is different! Large State University or small private college? Urban or Rural? How many other Christian groups are here? .. While there are some evergreen principles, you must identify what is unique about your campus, and find ways to contextualize your ministry to it. Question #3: What things can help students transition from pursuing God in college to being part of a multi-generational church post graduation? Effective discipleship is not built around your peers, it’s built around Jesus. If we don’t equip students to flourish as disciples of Jesus after graduation, it begs the question, “What are we discipling them into?” We must give them a trajectory. Question #4: Is anyone leading campus ministries across multiple campuses? A few. Gus Hernandez (@GusHernandezJr) in Miami, and David Worcester (@davidworcester) in San Diego are two examples. .. When attempting to do this, launch from a place of strength on one campus, and make things as transferrable as possible. Question #5: Strategy for local church to reach students in a setting of all commuter students? Look to turn intersection points into connection points. Put more emphasis on discipling and equipping students to reach their classmates. Don’t be afraid to strategically innovate when it comes to venue, outreach, etc. Rahul is the Director of the Tampa Area Baptist Collegiate Ministries. He is the husband to Annie and father to four. Rahul is a tech junkie, dreamer, gamer, visionary, futurist, developer, and food lover. Rob is currently a Church Planter with the Salt Network. Rob has been a part of the h2o Church Network in Bowling Green and is currently living in Ames, Iowa with his wife Lisa and his two kids. 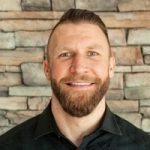 Steve Lutz is the lead pastor of Wellspring Church in State College, PA Penn State University. 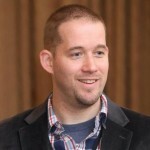 He is also the author of two books, King of the Campus (2013) and College Ministry in a Post-Christian Culture (2011). He frequently speaks and writes on college ministry-related issues, and consults with college ministries across the country.